Sign up and receive Property Email Alerts of Houses for sale in Stilbaai Oos, Stilbaai. 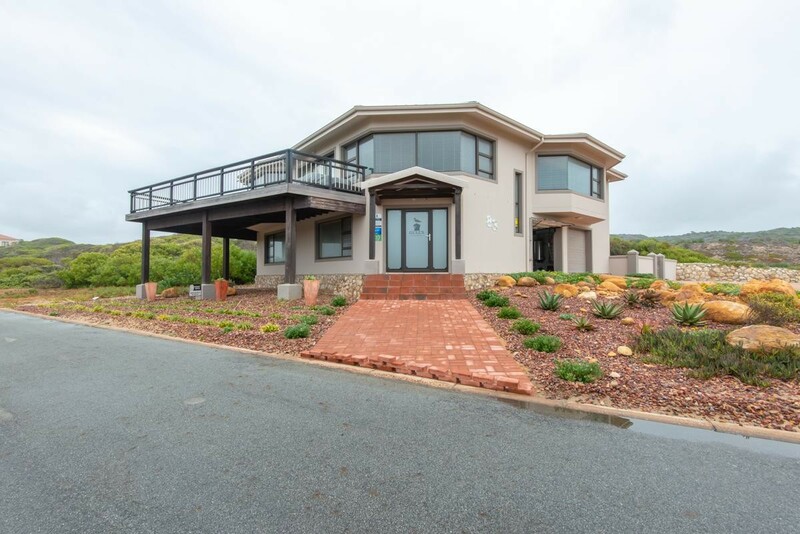 Situated in a sought after area in Stilbaai, just 30m from a Blue flag beach. This property is currently operating as a successful holiday rental. The property is on the market with all furniture and contents included. This includes the administration system, branding, domain and website. The property consists of two bedrooms, full family bathroom, living area and laundry on the ground floor. The double garage is also accessible from this floor. The first floor consists of a spacious open plan living and kitchen area with built-in braai. Sliding doors lead to the large patio with 180 degree sea views, perfect for entertaining. There is a separate scullery and tv area leading to three bedrooms all with en-suite bathrooms and built in wardrobes. One bathroom doubles as guest bathroom. This is an absolute must see, contact me today to arrange a private viewing. Sign-up and receive Property Email Alerts of Houses for sale in Stilbaai Oos, Stilbaai.